The best known classic Lamborghinis are the Miura and Countach. Enthusiasts know that the brand started with the 350 GT, followed by the GT 400, but how many people are familiar with the Lamborghini Islero? It is a sleek sports car, which has long hidden in the shadow of its contemporaries. Is that justified? We turn the spotlight on this little-known Italian thoroughbred. Today Lamborghini is one of the famous Italian sports car manufacturers and the factory is part of the Volkswagen Group, which includes Audi, Bugatti and Porsche. That offers today’s buyer of a Lamborghini a highly regarded marque, plus the promise of reliability from a bigger parent company. The appreciation for cars the brand now produces shines on the classic models of Lamborghini. 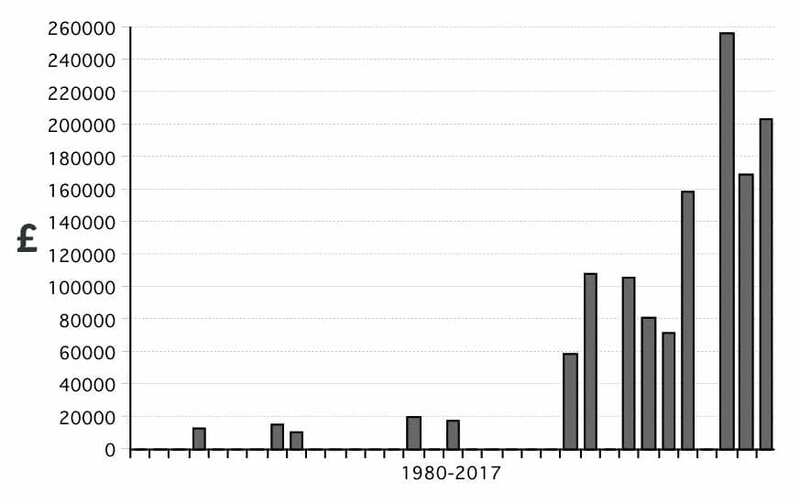 In the last 10 years, cars such as the Miura and Countach – especially the Periscopica – have increased in value strongly. However, this has not been the case (yet) for the Lamborghini Islero, a car that has technical simlarities with the other two famous cars. 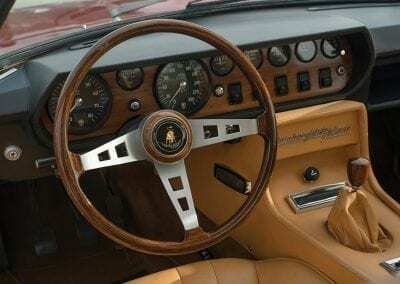 Lamborghini began the production of cars with the 350 GT in 1964. The 12 cylinder had a capacity of 3,464 cc and an output of 270hp. This sports car was succeeded by the similar looking GT 400 (the most obvious external difference being the changed headlights). The capacity of the 12 cylinder was increased to 3,929 cc and that provided an output of 320hp. 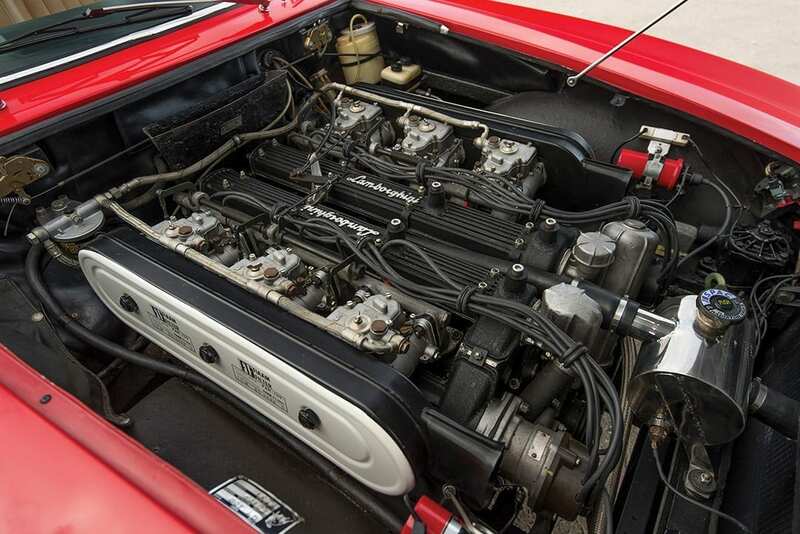 The engine was also used in the Lamborghini Miura P400, a model that appeared in 1966. 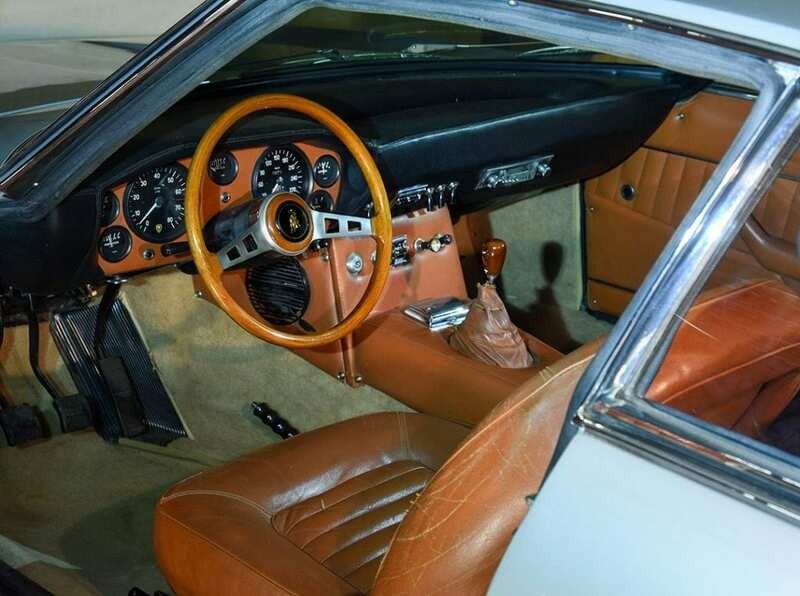 The Miura had a striking design and is possibly the best known classic sports car from the marque. 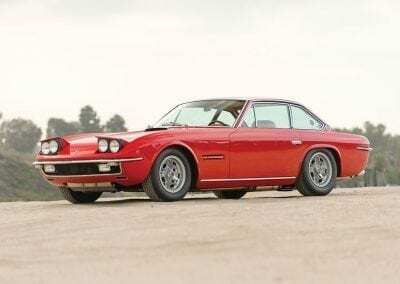 In March 1968 the Islero debuted at the Geneva Auto Show, next to the new Lamborghini Espada and the Miura S. Presented in the company of the other two models, the Islero looked very modest. The 350 GT and 400 GT were made by Carrozzeria Touring. After this company went bankrupt, Lamborghini had to look for another supplier, so they contacted Carrozzeria Marazzi, founded by Mario Marazzi, a former employee of Touring. 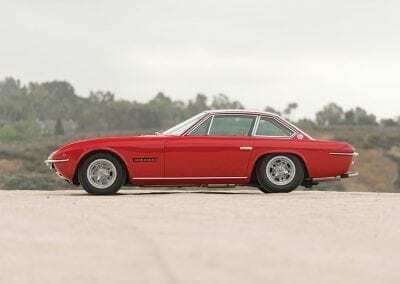 On the basis of the curvaceous looking Lamborghini 400 GT, Mario Marazzi designed a new bodywork. The wedge-shaped design was very modern – this kind of design can also be found on the Ferrari 356 GTC/4 and the Maserati Ghibli, for example. The new Lamborghini had the four litre V12 with an output of 325hp and a top speed of around 150 mph. The Islero was not intended for the enthusiast who wanted to ride a very striking sports car; Lamborghini focused on the buyer who wanted to have a sports car with excellent performance and a discrete appearance. An elegant sports car, with which the owner would not draw too much attention. 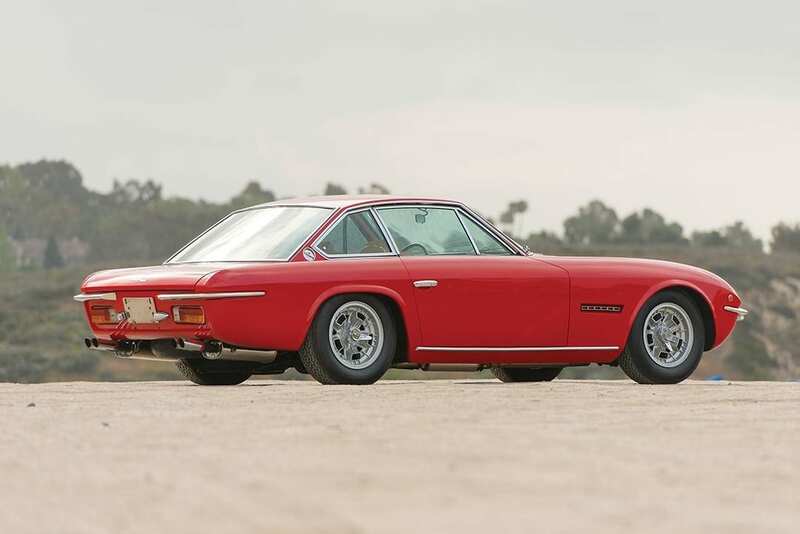 Just like the 350 GT, the Islero came just a little too quickly to market, so not all of its glitches were resolved. The body suffered from a lack of proper fit between the panels and customers found the interior insufficient to match the car; the quality was too low. Ultimately, Lamborghini made the Islero only for a year, after which a renewed and improved version was released in 1969. The new Islero S can be identified by the slightly flared fenders and the vents added to the front fenders behind the wheels. 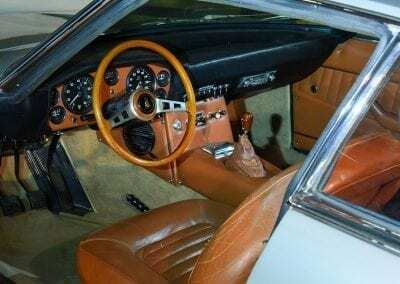 The Interior was renewed and the engine was tuned to an output of 350hp, increasing its top speed to 160mph. 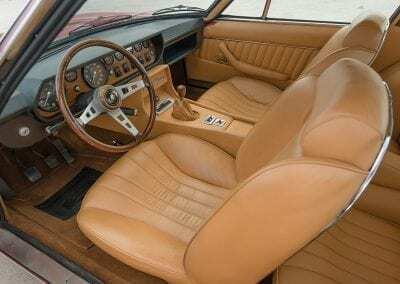 Nevertheless, the model was not a great sales success and production of the Islero S was discontinued in 1969. What followed for the model was a period in which the prices of the Islero were getting as the car aged and interest. Over the years, number of remaining examples slowly declined. 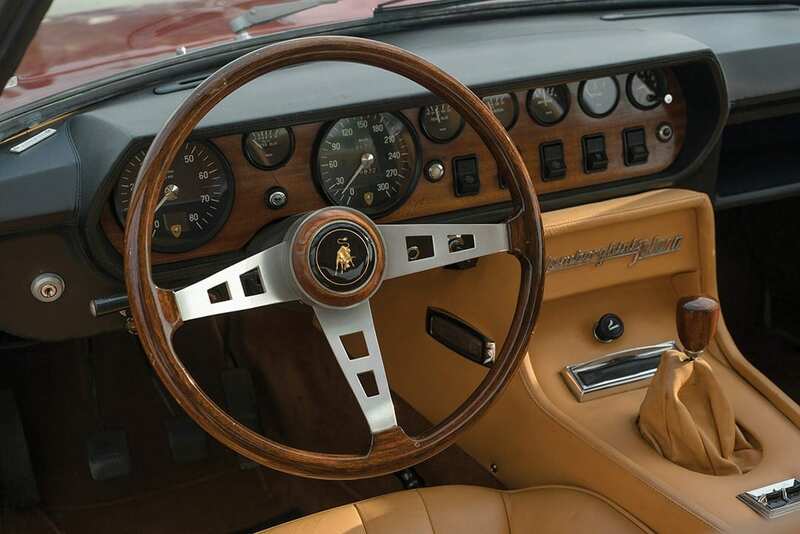 The performance of the Islero was comparable to that of the Ferrari 365 GT 2 + 2, a model produced in the same period. Just like the Lamborghini, the Ferrari offered seats for four people. 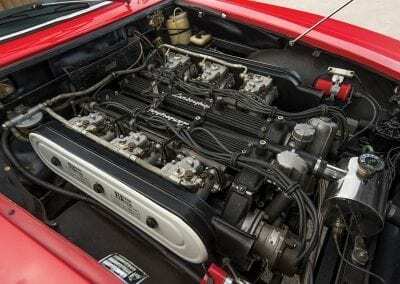 The Ferrari had a V12 with a capacity of 4,390 cc and an output of 320hp, reaching a top speed of 150 mph. Maserati also made a 2 + 2 during the same period, which was the Ghibli. The Ghibli had a V8 with a capacity of 4,719 cc and an output of 310hp and a similar top speed to the 365 GT. Around the year 2000, Isleros were auctioned for less than £20,000. In August 2001, for example, RM Auctions auctioned one for £17,800. Jumping forward, the highest auction result was realized in August 2015, as RM Sotheby’s auctioned an Islero S for £256,500. In contrast to the Lamborghini 400 GT and the Miura, the Islero is an undervalued car. 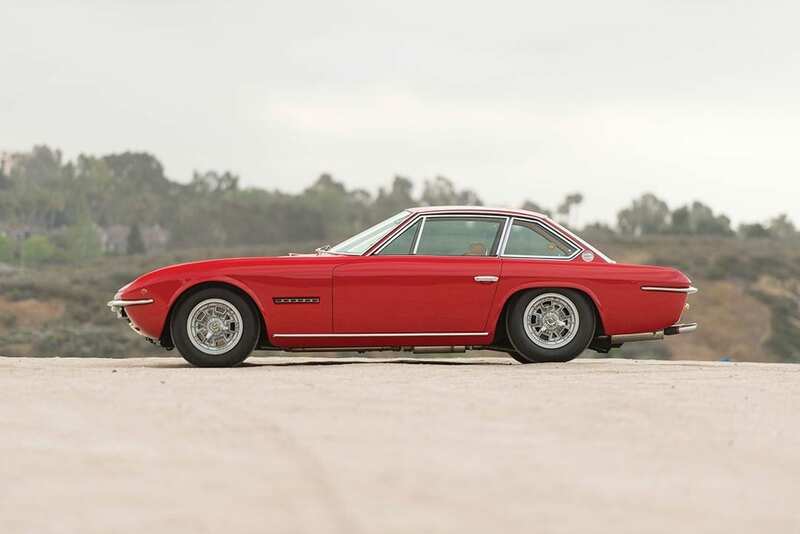 The highest amount realized so far at an auction for a Lamborghini 400 GT was £520,000, about twice as much as the Islero’s highest price (this 400 GT was auctioned by Gooding in August 2014). The Miura is even more expensive: The highest auction results so far range from £750,000 for a Miura P400 to £2 million for a Miura SV. 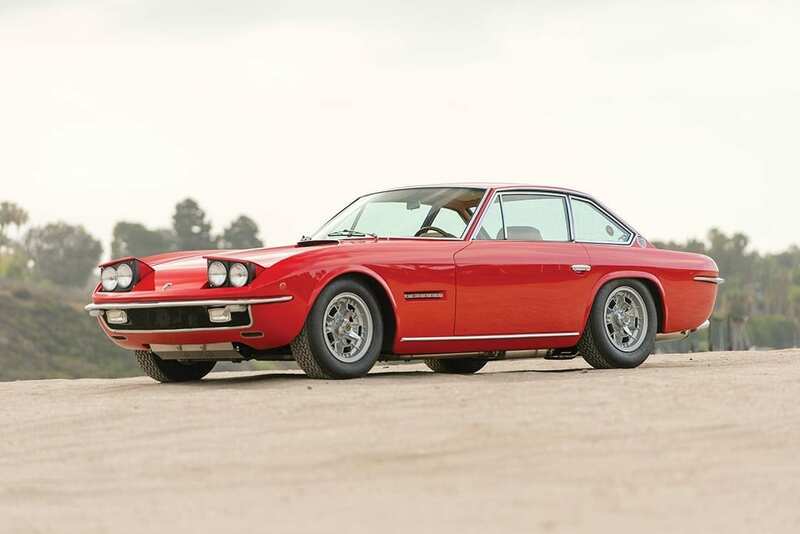 The price development of the Islero is more comparable to those of the Ferrari 365 GT 2 + 2 and the Maserati Ghibli. These cars so far have been sold at auction up to £250,000 and £256,000 respectively. 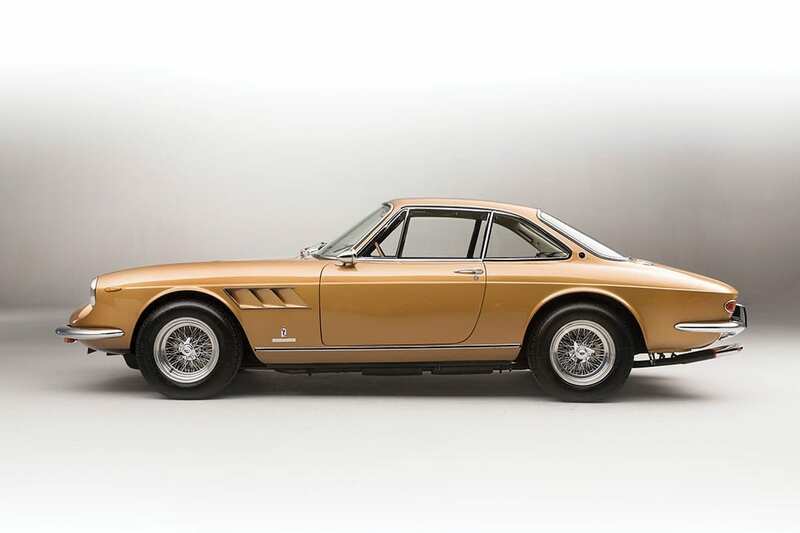 A significantly more expensive 2 + 2 sports car is the Ferrari 330 GTC. The highest amount realized so far for this model at an auction is £700,000. However, let us not only look at the price development of the Islero so far, but also at the availability of the car. To do that, we take a look at the production numbers to compare those of the Islero with those of other 2 + 2 models. Lamborghini made more than 240 examples of the 400 GT. Maserati made more than 1,100 Ghiblis. And Ferrari made almost 600 copies of the 330 GTC and more than 800 of the 365 GT 2 + 2. In addition, we can also take into account the Ferrari 330 GT 2 + 2 (more than 1,000 made) the 365 GTC/4 (500 cars) or the 365 GT4 2 + 2 (more than 500 cars). 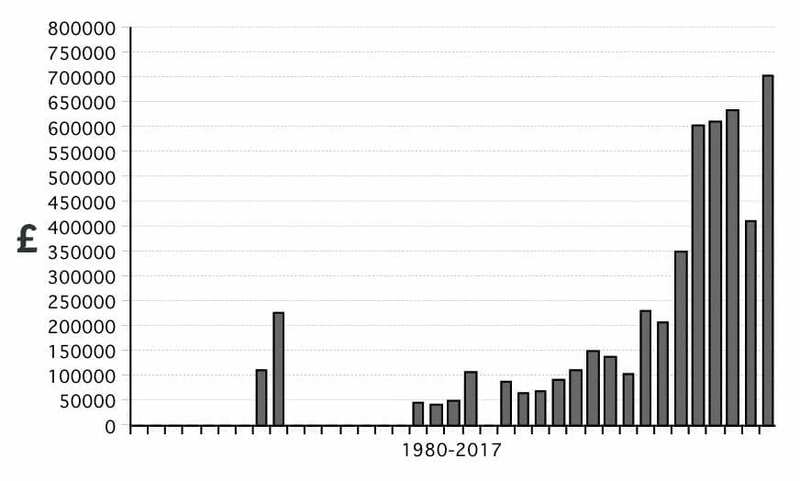 These production numbers surpass amply those of the Islero. Lamborghini made 125 Isleros and only 100 of the Islero S. This brings the total to 225 coupes. 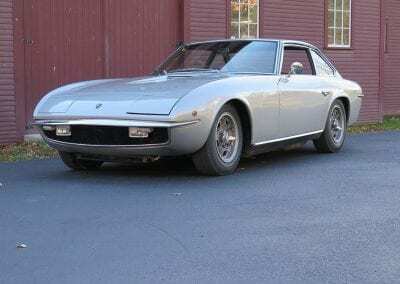 The conclusion is that if you are looking for a classic Italian 2 + 2 sports car made by the end of the 1960s, it will be easier to purchase a Ferrari or a Maserati, than a Lamborghini Islero. The Islero is much rarer. In addition, the car is relatively undervalued. 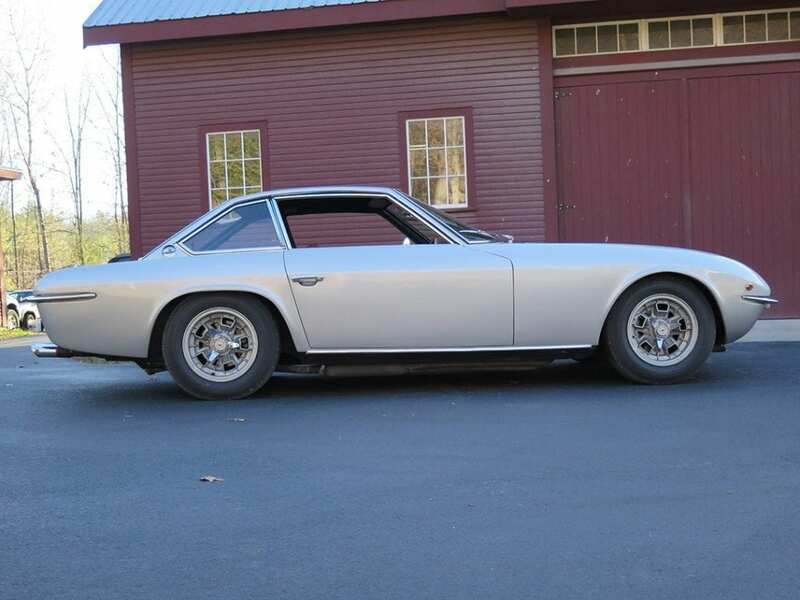 It offers the enthusiast a classic sports car from a much in-demand marque. It is a car with many possibilities in use and considering what you get you can own a classic Lamborghini for a relatively modest outlay. If you’d like to own an Islero, or any other classic car, contact our experts today to discuss our range of classic car finance options.